Tricia Dearborn is an award-winning poet whose work has been widely published in Australian literary journals, as well as in the UK, the US, Ireland, New Zealand and online. Her poetry is well-represented in significant anthologies including Contemporary Australian Poetry, Australian Poetry since 1788 and The Best Australian Poems. She is a peer assessor for the Australia Council for the Arts and has been an invited reader and panellist at many literary events, including the Queensland Poetry Festival 2018, the Quantum Words Festival of Science Writing 2018, Sydney Ideas 2018 and the Sydney Writers’ Festival 2012. She was a judge for the inaugural Quantum Words Science Poetry Competition in 2018. She is on the editorial board of Plumwood Mountain, an online journal of ecopoetry and ecopoetics, and was a guest poetry editor in 2016. 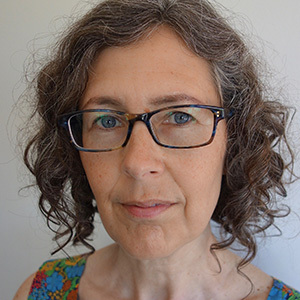 She has received a number of grants from the Australia Council, and has been awarded two residencies at Varuna, the Writers’ House, including a Residential Fellowship in 2017. Dearborn’s previous collections are The Ringing World and Frankenstein’s Bathtub. Her third poetry collection, Autobiochemistry, is forthcoming from UWA Publishing in 2019. Paul Munden was the founding director of the UC Poetry on the Move Festival, 2015-17, and director of the UK’s National Association of Writers in Education, 1994-2018. He has worked as conference poet for the British Council, reader for Stanley Kubrick, and is currently script editor for GSP Studios. His publications include five poetry collections, most recently Chromatic (UWA Publishing, 2017). In 2019 the prize will be judged by a panel of three judges. The prize will be judged by a judging panel comprising three judges appointed by the University of Canberra. One of the panel will be a representative of the University of Canberra. No correspondence will be entered into about the submission or judging processes for the Prize, or any other aspect of the Prize, including its judges or its administration, except for correspondence initiated by Prize Administrators. Unsolicited correspondence about such matters will not be acknowledged. Wendy Cope is one of the UK's most popular poets. Her poetry collections include Making Cocoa for Kingsley Amis (1986), Serious Concerns (1992) and If I Don't Know (2001), which was shortlisted for the Whitbread Poetry Award. Two Cures for Love (2008) is a selection of previous poems with notes, together with new poems. Her latest collection is Family Values (2011). She has also written poetry for children and edited a number of comic verse anthologies. She has been television critic for The Spectator, and was a judge of the 2007 Man Booker Prize. She is a Fellow of the Royal Society of Literature and was awarded an OBE in 2010. Moira Egan’s seventh collection, Synæsthesium, won The New Criterion Poetry Prize and will be published by Criterion Books, New York, in Autumn 2017. With her husband, Damiano Abeni, she has published volumes in translation in Italy by authors including Ashbery, Barth, Bender, Ferlinghetti, Hecht, Simic, Strand, and Charles Wright. She lives in Rome. Elizabeth Campbell was born in Melbourne in 1980. She has been the recipient of many prizes including the Vincent Buckley Prize, the Marten Bequest Travelling Scholarship and an Australia Council residency in Rome. Her books, Letters To The Tremulous Hand and Error are published by John Leonard Press. Vahni Capildeo is a Trinidadian poet and writer. Her publications include No Traveller Returns (Salt 2003), Person Animal Figure (Landfill Press 2005), Undraining Sea (Egg Box Publishing 2009), Dark and Unaccustomed Words (Egg Box Publishing 2012), Utter (Peepal Tree Press 2013), and Simple Complex Shapes (Shearsman 2015). Her latest collection, Measures of Expatriation, was published by Carcanet and won the 2016 Forward Prize for Best Collection. Sudesh Mishra's fifth volume of poetry, The Lives of Coat Hangers, came out with Otago UP in 2016. He is Professor of English at University of the South Pacific. Simon Armitage lives in West Yorkshire and is Professor of Poetry at the University of Sheffield. He has published over a dozen collections of poetry including Paper Aeroplane - Selected Poems 1989 to 2014 and his acclaimed translation of Sir Gawain and the Green Knight. His three best-selling non-fiction titles are All Points North, Walking Home and Walking Away. Armitage writes extensively for radio and television, and his most recent play was The Last Days of Troy, performed at Shakespeare's Globe in London. In 2015 he was appointed Professor of Poetry at Oxford University. Merlinda Bobis, a Filipino-Australian, is the author of three novels, five poetry books, seven dramatic works (stage and radio), a collection of short stories and a monograph on writing and researching fiction. Her literary works have received various awards, among them the Prix Italia, the Steele Rudd Award for the Best Published Collection of Australian Short Stories, the Philippine National Book Award, the Philippine Balagtas Award, the Australian Writers' Guild Award, the Ian Reed Radio Drama Prize, and were shortlisted for the Australian Literature Society Gold Medal and The Age Poetry Book Award. Michelle Cahill is the author of The Accidental Cage, Vishvarūpa and Night Birds. She has received prizes in poetry and in fiction. She was a fellow at Kingston University, London. In 2016 she is a Visiting Scholar in Creative Writing at the University of North Carolina, Charlotte. She co-edited Contemporary Asian Australian Poets with Kim Cheng Boey and Adam Aitken, and she edits Mascara Literary Review. She has written essays on poetics, race and cultural diversity for Southerly, Westerly, and the Sydney Review of Books. Jack Ross works as a Senior Lecturer in Creative Writing at Massey University's Auckland Campus. His latest book A Clearer View of the Hinterland: Poems and Sequences 1981-2014, appeared in 2014 from HeadworX (Wellington). His other publications include four full-length poetry collections, three novels, and three volumes of short fiction. He has also edited a number of books and literary magazines, including (from 2014) Poetry New Zealand. Details of these and other publications are available on his blog The Imaginary Museum http://mairangibay.blogspot.com/. Elizabeth Smither was the 2001-2003 Te Mata Poet Laureate. In 2004 she was awarded an honorary DLitt from the University of Auckland for her contribution to literature and made a member of the New Zealand Order of Merit. She received the Prime Minister's Award for Literary Achievement in Poetry in 2008. 'In Smither's poems, the simplest details can be trapdoors to eternity – to "take in life" can be a promise or a threat' – Hugh Roberts, University of California Irvine. Subhash Jaireth was born in India. He spent nine years in Moscow and moved to Canberra in 1986. He has published poetry, fiction and nonfiction in Hindi, Russian and English. He has published three collections of poetry: Yashodhara: Six Seasons Without You (2003), Unfinished Poems for Your Violin (1996), and Golee Lagne Se Pahle (1994, in Hindi). His book To Silence: Three Autobiographies was published in 2011. Two plays adapted from the book were performed at Canberra's Street Theatre in 2012. His novel After Love was released in October 2012. Alvin Pang is a poet, writer, editor and anthologist who has featured in major festivals and publications in Asia, Australia, Europe and America. His writing has been translated into over fifteen languages. 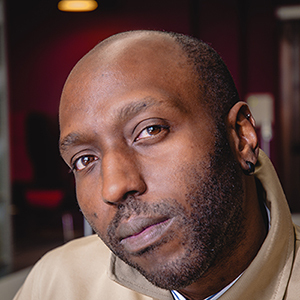 A Board Member of the International Poetry Studies Institute and a 2002 Fellow of the Iowa International Writing Program, he also directs The Literary Centre (Singapore), a non-profit inter-cultural initiative. Named Singapore's Young Artist of the Year for Literature in 2005, he received the Singapore Youth Award for Arts and Culture in 2007. His recent publications include the Tumasik: Contemporary Writing from Singapore, Over there: poems from Singapore and Australia (co-edited with John Kinsella) and When The Barbarians Arrive. Australian poet Brook Emery is the author of a number of poetry collections, including and dug my fingers in the sand (2000), Misplaced Heart (2003), Uncommon Light (2007) and Collusion (2012) He has won the Newcastle Poetry Prize (1999), the Arts Queensland Judith Wright Calanthe Award (2001), and the Bruce Dawe National Poetry Prize (2002). 'He has been shortlisted for the Western Australian Premier's Prize and shortlisted three times for the NSW Premier's Prize for Poetry. Judith Beveridge, an Australian poet, is poetry editor for the Australian literary journal Meanjin. Winner of a number of major prizes—including the Mary Gilmore Prize, the New South Wales Premier's Literary Awards and the Victorian Premier's Literary Award in 1988, and more recently the Queensland Premier's Literary Awards—Judith is the author of 4 collections of poetry, and was co-editor of The Best Australian Poetry 2006 (UQP). Her New and Selected Poems will be published in Australia and the US in 2014. Jennifer Harrison works as a child psychiatrist, and also manages The Dax Poetry Collection at The Dax Centre, the University of Melbourne. Author of seven collections of poetry, she is also winner of a number of awards, including the 2003 NSW Women Writers National Poetry Prize, the 2004 Martha Richardson Poetry Medal and the 2012 Christopher Brennan Award for Excellence in Poetry.